Get ready for the thrill of a lifetime! 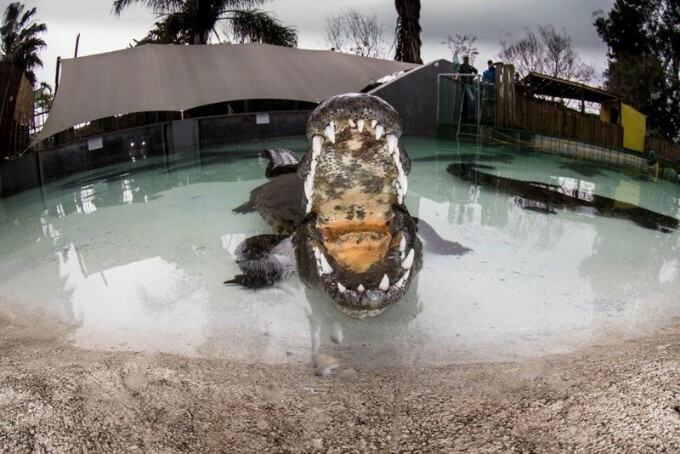 Crocodile cage diving is offered at only a very few places in the world, and is an unforgettable experience. View the power of these prehistoric apex predators in the water as they are fed by professional croc handlers: The strength in the swish of a tail, the devastating grip of the jaws; the strange grace with which they move their massive, muscular forms. This experience will give you newfound respect for these enigmatic and formidable reptiles.